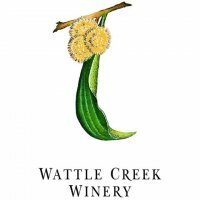 Owned by Christopher and Kristine Williams, Wattle Creek Winery produces wine from their 56 acre vineyard Alexander Valley estate which is comprised of 14 different vineyard blocks. Tours and tasting sare available at the winery by appointment only. They also have a tasting room in San Francisco's Ghirardelli Square that is open to the public seven days a week. Tastings at the winery are by appointment only. This is a private tasting experience complete with a cheese pairing and barrel sample during a tour of our facility.